1) Prehistoric walled enclosures built to enclose a settlement. 2) Prehistoric walled enclosures built to house and protect livestock. 3) Prehistoric small walled enclosure built to act as a wind-break for cultivated crops. 4) Historic enclosure built as a fold by moorman for livestock. 5) Historic drift pound used to impound straying or illegally pastured animals on the forest. 6) Manor Pounds used to impound straying or illegally pastured animals on the manor lands. Regardless of the age of the pound they were all used to house or protect livestock in some form or another. The prehistoric pounds were in some cases dual purpose in so much as they protected both people and livestock, mainly from the wild animals that roamed the moor such as wolves. The majority of the prehistoric pounds date to the Bronze Age and will be covered on a separate page as they also encompass ‘rings’. 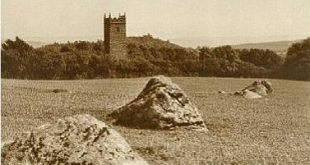 The list below includes the well-known ‘pounds’ of Dartmoor and what type they are, some of what now are termed as drift pounds are of a Bronze Age origin. North Quarter – From the confluence of Wester Red Lake and the Tavy to the head of Spriddle Combe, and thence to Horse Hole on the West Dart; thence to a pile of rocks, formerly bearing the name of Kit Tor on the East Dart; thence to Teign Head, and down the Teign to the boundary of the Forest. East Quarter – Conterminous with the north from the Forest line on the Teign back to Horse Hole; thence down to Dart Hole and by the West Dart past Two Bridges, Prince Hall and Hexworthy, to Wo Brook Foot. South Quarter – Conterminous with the east from Wo Brook Foot as far as Cholake Foot, about a mile below Two Bridges; thence to Cholake Head and across part of Tor Royal Newtake to Strane Head; thence down to Strane Foot, near the Whiteworks and on to Plym Head. West Quarter – From the confluence of Western Red Lake and the Tavy the line is conterminous with that of the north as far as Horse Hole; from that point it is conterminous with the boundary of the east to Cholake Foot; and from Cholake Foot is conterminous with the south quarter to Plym Head. To put this into perspective the map below shows the four quarters of the moor and the Forest boundary. Originally this was a Bronze Age pound which was later used as a drift-pound, it covers around 2¼ acres and in early medieval times was adopted as the main enclosure for impounding strays from the Forest. The earliest record of the pound is a document dating to 1342 that mentions the provision of a new lock for the pound gate. Again there seems to have been evidence of livestock owners trying to un-impound their animals by illegal means as another document of 1620 shows an expenditure of 3s 4d for repairing the walls, gate, and stocks. In the mid 1800’s the pound-keeper was Dinah Tuckett, her husband Sam ran the farm, both were known for their non-compromising outlook on life. There is one story of a moorman from Chagford riding over to the pound to collect some impounded ponies but had unfortunately forgot his money purse. At first there was a discussion with Dinah as to the possibility of taking th ponies and later returning with the fines. She was having none of this and so the discussion turned into a heated argument, it was the foul language and abuse from Dinah that sent the farmer packing. Just inside the pound is a stone shelter, part of which is said to have come from Crockern tor and this is sometimes known as ‘Dinah’s Chair’. Dunnabridge Pound and Dinah’s Chair. Once again Erme Pound was originally a Bronze Age enclosure that was later used to collect strays from the southern quarter and also as a foldage pound. This was when commoners would drive their animals out of the limits of the Forest each evening thus avoiding any fines for having animals illegally pastured during the night. The stock would then be enclosed at sunset and released the following day. By very nature of it remoteness Erme Pound was never one of the main drift pounds as it meant that manning the pound, providing accommodation, and supplying the keepers with food was too much of a logistical problem. The pound was also known as ‘Ye Pound Rest’ which basically described its purpose which was all the strays from the southern quarter would be collected here, they would then spend the night after which they would be driven up to Dunnabridge Pound. It is probable that this pound originated as a manorial pound and was later used to hold ponies and is of a medieval date. Compared to Dunnabridge and Erme pound this is a lot smaller measuring about thirty feet by twenty three feet and is formed by the angle of a barn and a wall. Surprisingly enough there is not a lot of physical or documentary evidence for this type of pound. They were used in very much the same was a drift pound except the animals impounded would have been found illegally straying on the respective manorial lands and the fines paid for their release went into the Lord of the Manors coffers.